Chester Greenwood, an American inventor, was born Dec. 4, 1858. Chester grew up in Farmington, Maine, and while still a young lad, on a cold Maine day, he got the bright idea of putting a couple of beaver pads on the ends of a piece of spring wire and clamping it over his ears. 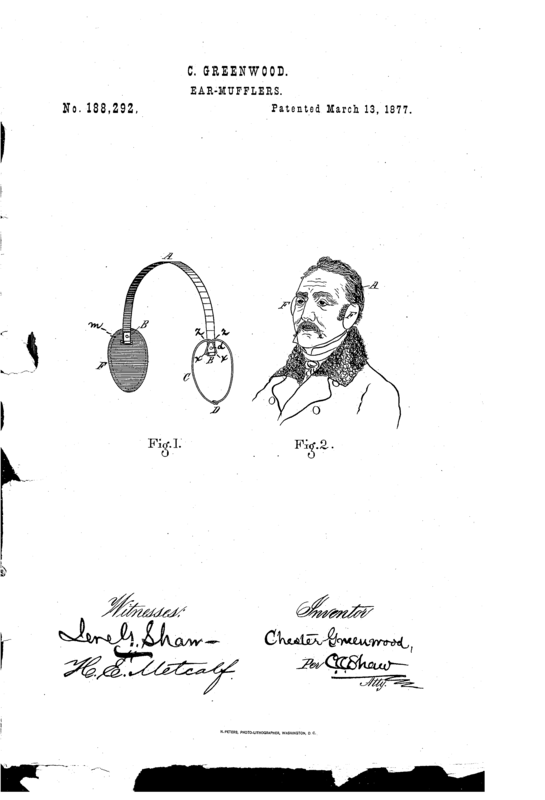 Believe it or not (the U.S. Patent Office believed it), no one had made an earmuff before. 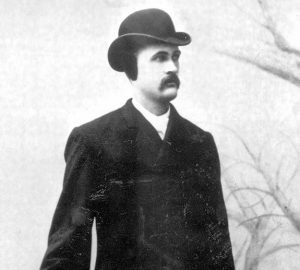 A patent was granted in 1877 (Chester was 19), and Farmington started cranking out Greenwood Ear Protectors in a big way, and did so well into the 20th century. 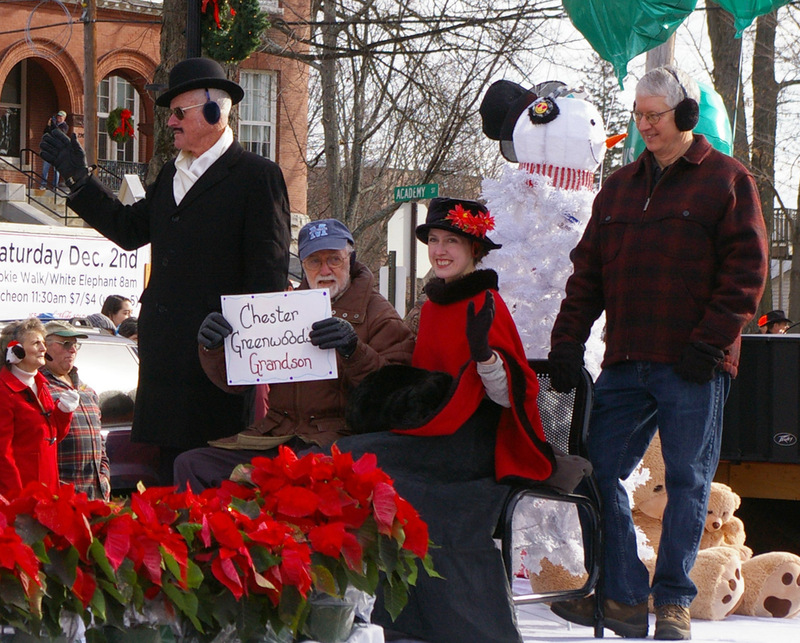 Greenwood is quite a celebrity in Farmington, and every year, on the first Saturday of December, they celebrate Chester Greenwood Day; this year’s event took place three days ago. We do not yet have any photos of this year’s celebration, but photos from previous years abound, and we show one (third image). Everyone, you will notice, wears earmuffs, including the snowmen. 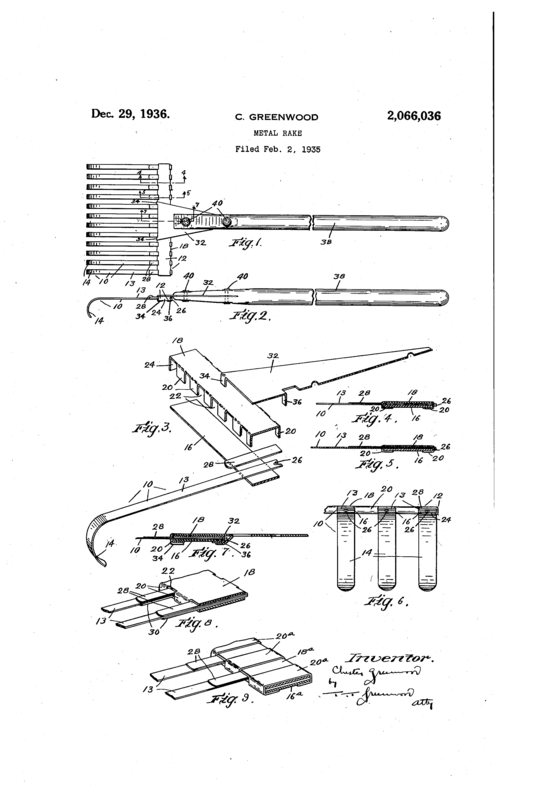 It is commonly said that Greenwood had over 100 inventions to his credit, but if you search on Google Patent, you will find only five: a metal rake, a wide-bottomed tea kettle, a wood boring machine, the earmuffs, and an earmuff improvement. 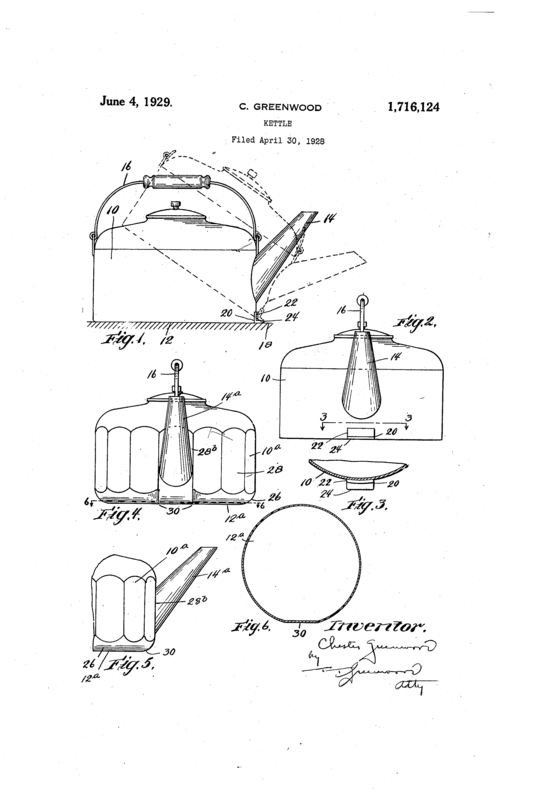 Since we don’t have much more to say about Chester, we show you the patent applications for the rake (fourth image) and the tea-kettle (fifth image). Both look like quite sensible inventions. Interestingly, in 1977, the Maine State Legislature decreed that Dec. 21 would henceforth be Chester Greenwood Day. Not only is the choice of day curious, but the statute fails to mention why Greenwood is being honored. You can read the legislation here.